As taxidermists we work hard to put that skin right where you want it and more importantly where it needs to go to make your mount have the proper look of fine taxidermy! The issue comes into play when your hide paste fails you! We have all been there a time or two! Well no more my friends! If you haven't tried Pro-1 then you have not experienced the toughest hide paste this instructor of Champions has ever shared with students of the Anglers Artistry family members! Anglers Artistry is proud to be a Distributor of Paul Cales PRO-1 PREMIUM HIDE PASTE! * Holds like nails...eliminates pinning - grip ability with no equal (never pin an open-mouth lip line again). * Thick heavy body...white, one-part adhesive; "easy slip" -- super skin maneuverability. * Extended open-time...dries slower (can make adjustments next day). * Designed to meet the rigorous demands of life-size artistry. * Works with any tanned skin...water cleanup or brush out. * Super-concentrated adhesive...non-diluted with fillers. Easy to use, cleans up with water - this is the real deal for todays hide paste! 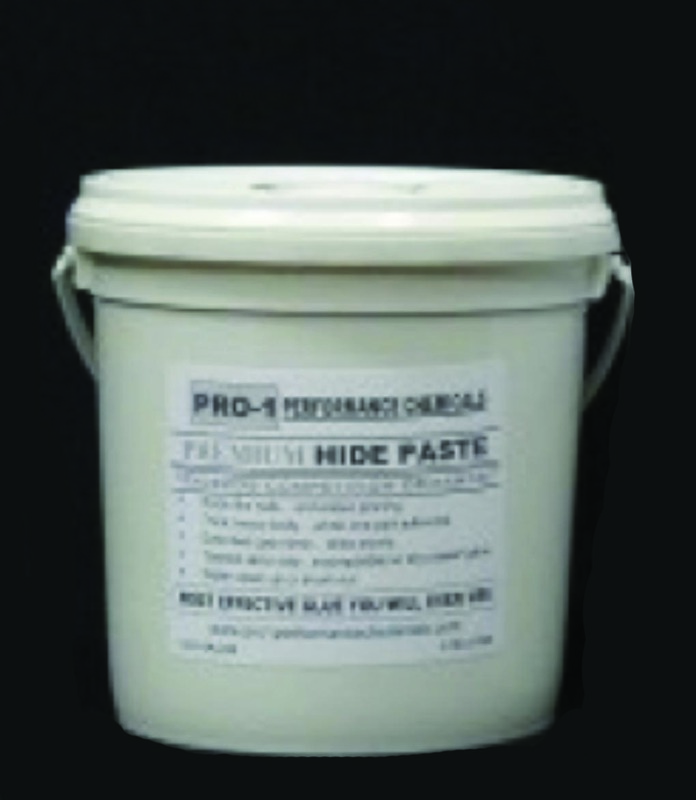 You are buying the 1 Gal unit kit of PRO-1 PREMIUM HIDE PASTE! Shipping for this item will be determined once sale is completed. All States in the United States as well as our International Customers will have shipping determined once sale is completed. This item is shipped via UPS.